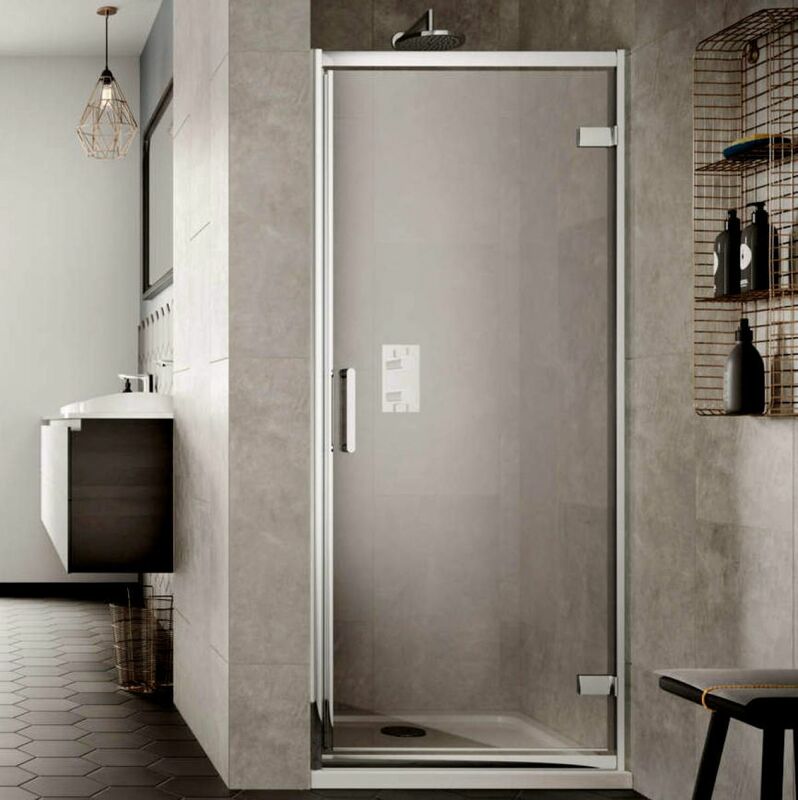 Designed for the bathroom space that has room to breathe, the Sommer 8 Hinge Shower Door is a bold design statement that lets you shower in luxury. 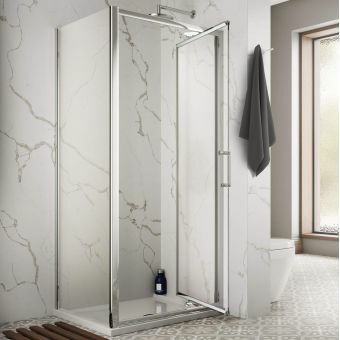 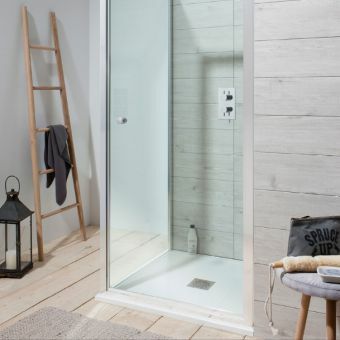 Available as a standalone door, this can be slotted into an existing alcove to create a comfortable shower space. 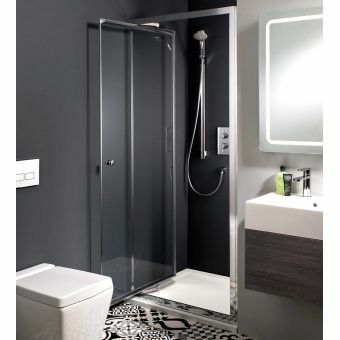 Alternatively, extra side panels are available to create a glass shower cubicle. 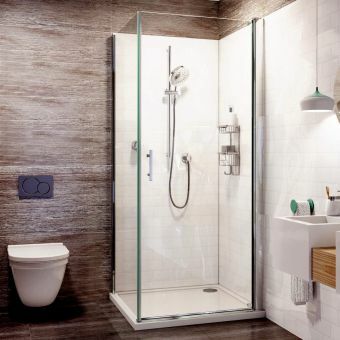 Installation can be made for left or right-hand entry, meaning it is not limited by existing bathroom layouts when considering the reach of the door. 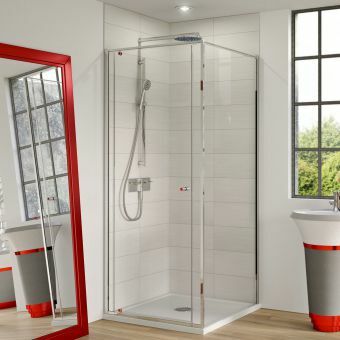 Polished chrome and toughened, streak-resistant treated glass make this a stylish and comfortable shower space. Available in four different widths of 700, 760, 800 and 900mm, all popular sizes are covered, simply add a shower tray and waste from our extensive ranges. 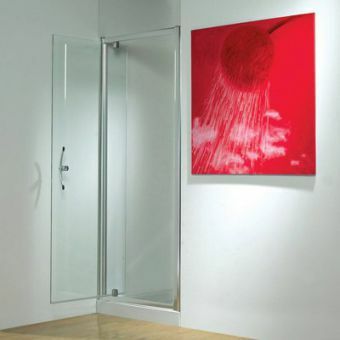 The lifetime guarantee is testament to the quality of this oustanding shower door.